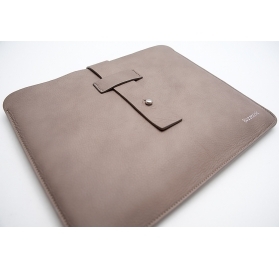 Each leather tablet case and shell is painstakingly hand finished and has particular features that lend uniqueness and originality to each product. 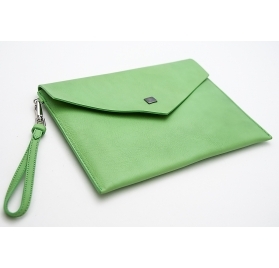 Every leather tablet case and shell model is available in different colors, both sober and professional (like mid tan, black, dove grey) and bright colors (like green). You can choose from several leather case and shell models, characterized by a minimal or a refined design, with or without magnetic closure, with or without strap. 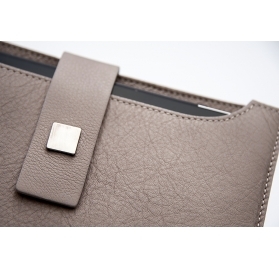 It’s important to underline that leather tanning is totally carried out in Italy, metals are hypoallergenic and coated with a protective lacquer and in models with magnetic clasp locks, the inner metal part has been isolated from the tablet pocket in order to avoid scratching the phone. Leather edges are hand dyed by two coats of dye and seams are reinforced in order to be stronger. 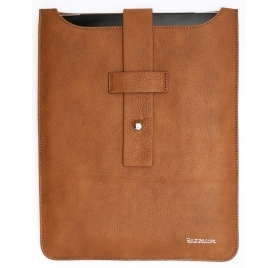 Our leather tablet cases and shells are compatible with the most common tablet models Apple iPad and Samsung Galaxy.